A mere two weeks into my clinical rotation at S’eclairer, and I have already gained a perspective on this field of medicine that I will forever carry with me. Upon arriving at Dr. Chaudhary’s office on my first day, my attention was captured by the peaceful environment and family-like staff. I began to participate in DBT and yoga classes weekly, and I have slowly become more accepting of the comfort and insight both provide. Moreover, I have had the privilege of observing a number of patients daily, all of whom have their own stories and tribulations which have been conquered. Not only have unwanted emotions been overcome, but a new life has blossomed in so many individuals I have very recently encountered. My experience here at S’eclairer has been one of many firsts. It was my first experience in the psychiatric world. My first time attempting and partially failing at yoga. My first time experieancing the concept and exploring the world of DBT. I was able to begin to feel comfortable and accept the process of DBT and mindfulness, which will be forever lasting. As a student, I was taught that medicine is an art. I listened, thought about it for a second, and proceeded to memorize the side effect profile of SSRIs without missing a beat. It wasn’t until my experience with Dr. Chaudhary and S’eclairer that I realized the validity in this statement. Before I began my clinical experience at S’eclairer, I thought psychiatry consisted of writing prescriptions for antidepressants and benzodiazepines and sending patients back to the real world. Boy, was I wrong. S’eclairer’s philosophy of treating patients with tactics like DBT, meditation, yoga, counseling, Reiki, and healthy diet, in addition to pharmacological therapy, has introduced me to a holistic approach towards behavioral medicine. This practice truly is an art. 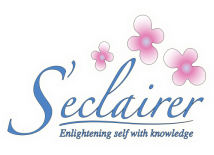 Care provided by S’eclairer has absolutely surpassed my expectations; it has been fascinating to watch the profound impact such creative treatments have had on patients in merely a few weeks. Before starting my rotation with Dr. Chaudhary at S’eclairer, I had very little experience with psychiatric medicine. My time at S’eclairer has opened my eyes to a different aspect of healing which not only helps patients but also has positively affected my life. I had never participated in mindfulness activities or mediation prior to starting this rotation. The first day when I was in a room full of people and asked to sit on the floor with my eyes closed and told to think of nothing except my breathing, I must admit, I was skeptical. This same situation today relaxes me in a way I did not know my body was capable of. Mindfulness activities allow my mind to breath in a sense with no worries or thoughts. I was also amazed at the feedback from the patients at S’eclairer, many stating how mindfulness have changed how they go about their life in a more constructive and healthy way. Many patients still require medications for their illnesses but they also use mindfulness as a medication. This is one part of their treatment they are able to control. Patients learn how to better themselves at S’eclairer through mindfulness activities including healthy eating, meditation, and yoga to name a few. I was very fortunate to learn of these practices and how to implicate them into my life as well as the lives of my future patients. Although I have only been on my behavioral medicine rotation for two weeks, my experience with Dr. Chaudhary and staff has been incredible. S’eclairer and Zharmony treat patients as a whole; attending to all facets of life. Treatment focuses on the mind, body and spirit combined which allows the highest level of effective healthcare. These clinicians genuinely go above and beyond to assist each person’s individual needs all the while embodying an impeccable bedside manner. There is a wide variety of treatment options available such as individual therapy, group therapy, yoga, massage, reiki, EMDR, aroma therapy, music therapy, and more. Skills are taught to the patients using the Dialectical-Behavioral Therapy (DBT) model to better equip patients to learn relaxation and coping techniques to be integrated into everyday life to enhance its quality. The goal is to arm patients with the knowledge and skills they can use to become as happy and healthy as possible. Each clinician is full of knowledge and wisdom; I have already learned so much from them. I know that I will use the skills I have observed using the DBT method in my everyday life. Overall, I am greatly impressed with the superior care provided, and I look forward to the rest of rotation. Dr. Chaudhary and his staff have given me a great example of the kind of clinician I hope to one day become when I practice medicine.